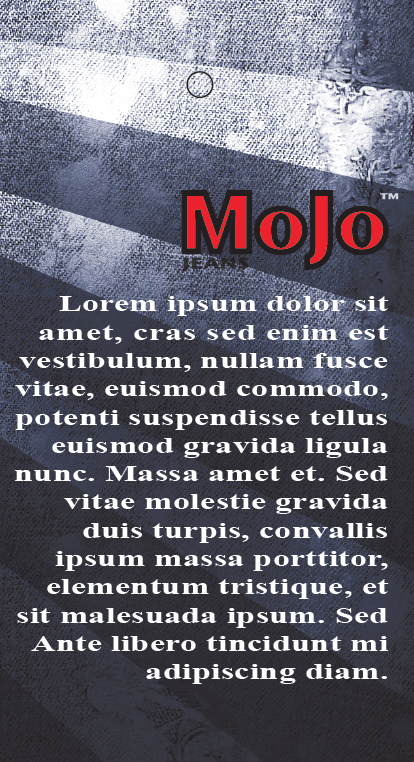 This project was for a made up company, Mojo Jeans. 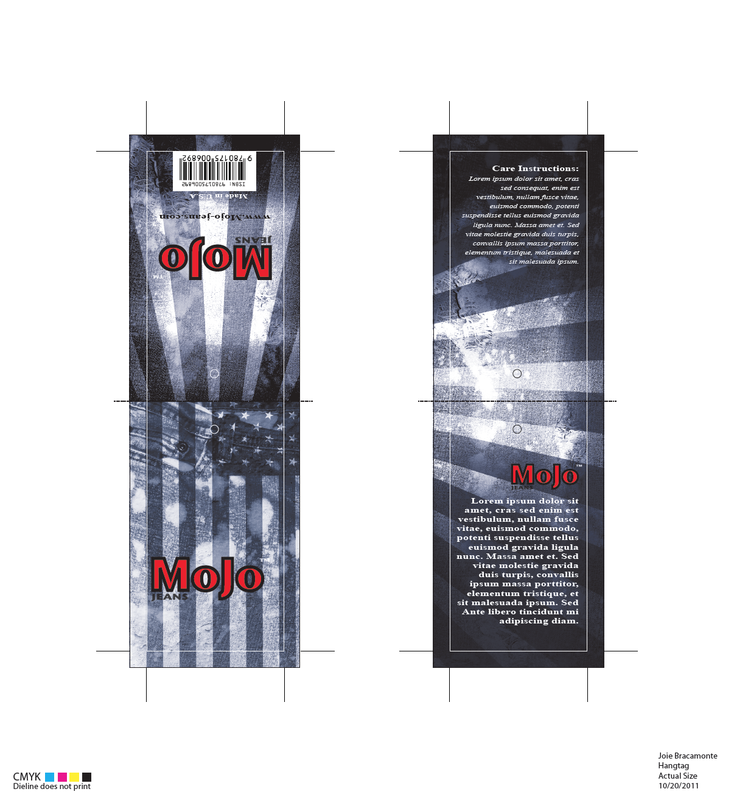 We were to design a Hang Tag in our Advertising Design class for specific jeans. 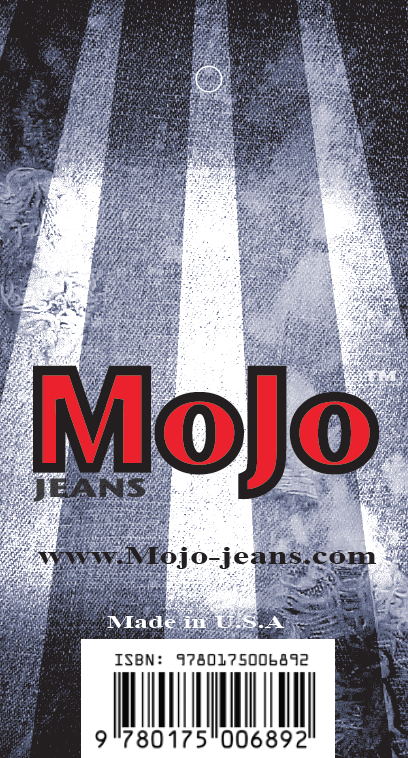 Mojo Jeans were written to be jeans for the younger crowd and were made in the USA. 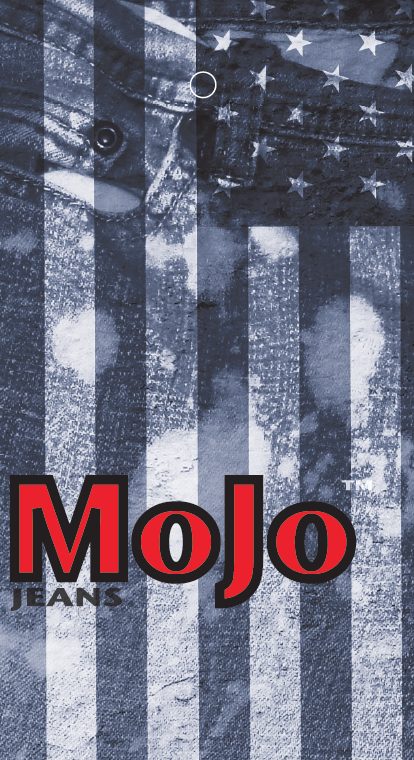 I went for the ripped, bleached jean look which is extremely popular these days, and Photoshopped effects into the jeans, such as the American Flag. 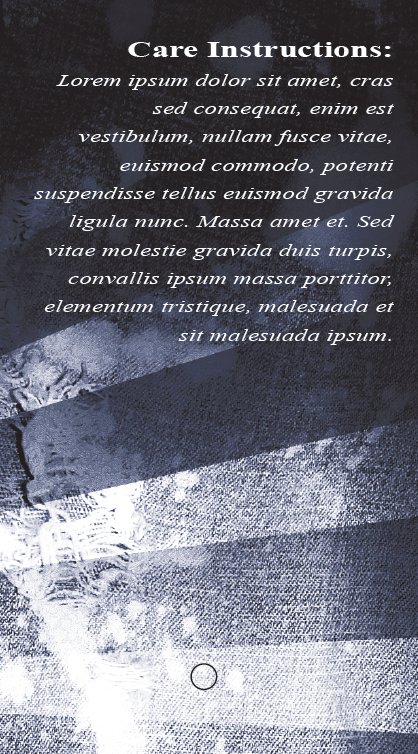 I always loved the way this came out.